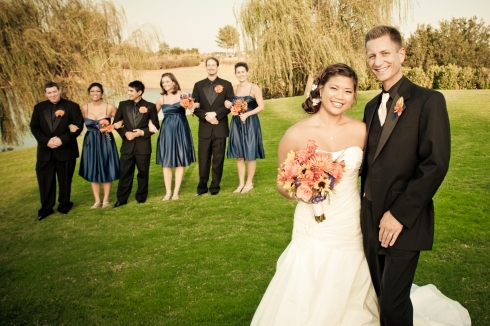 Yen and Brad are such an adorable couple and we had such a blast bringing their vision to life! 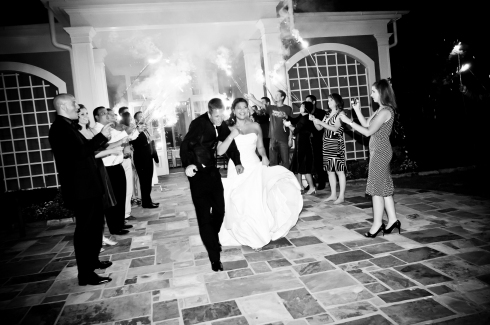 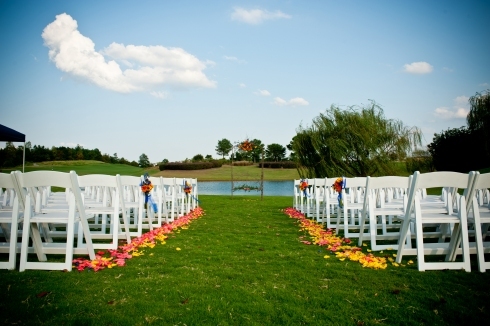 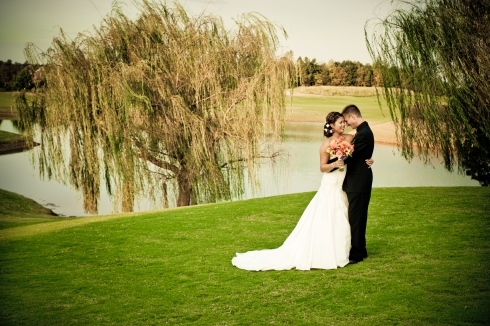 They were married at Windermere Golf & Country Club on September 25, 2010. 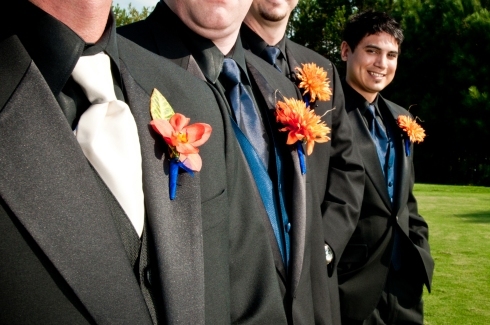 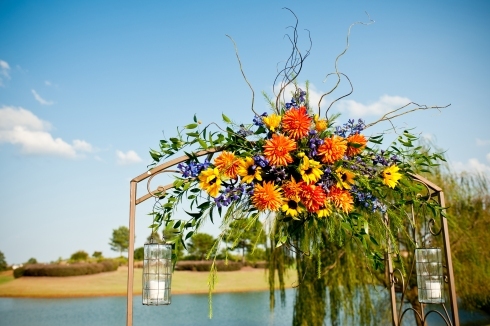 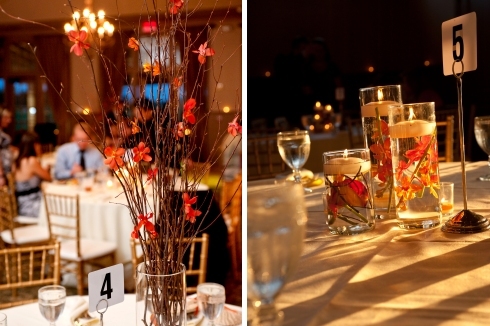 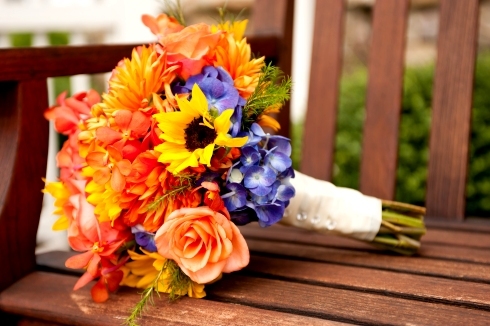 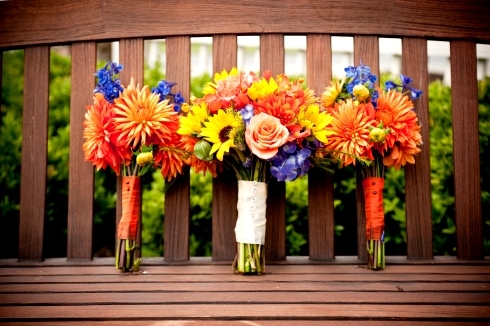 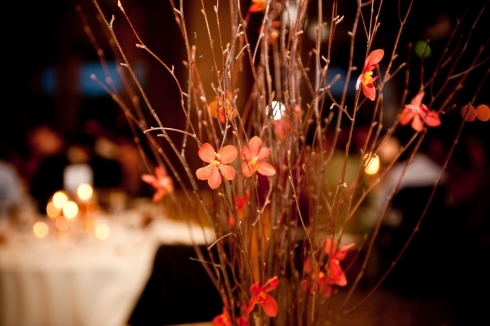 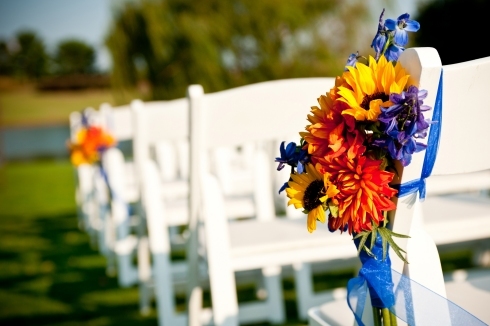 They incorporated the fall season in their colors using a palette of royal blue, orange, yellow and ivory. 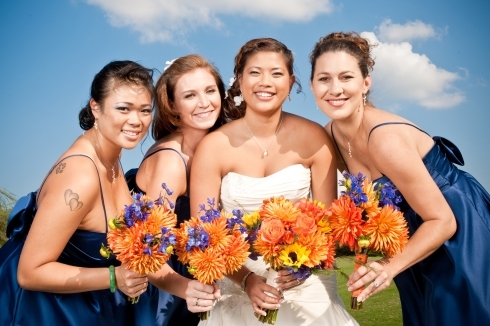 We absolutely loved their flowers which were a combination of dahlias, sunflowers, aranda orchids, delphinium, hydrangeas, and roses. 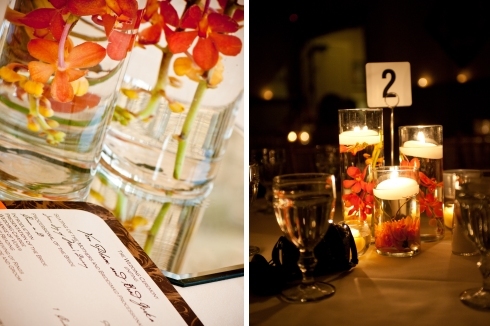 Many thanks to Atlanta Photo Studio for capturing all the details so beautifully. 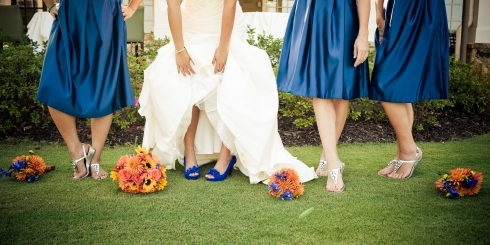 Makeup: DIY by the bride!